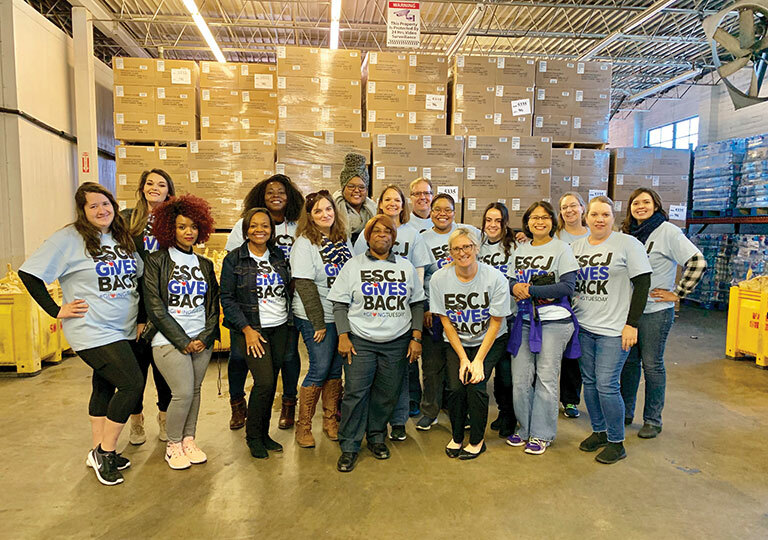 FSCJ WORKS will bolster the local economy by building and nurturing partnerships with employers, local leadership and area organizations to create substantive workforce development opportunities. Hear testimonials from recent scholarships recipients on how much their lives have been changed thanks to our donors. 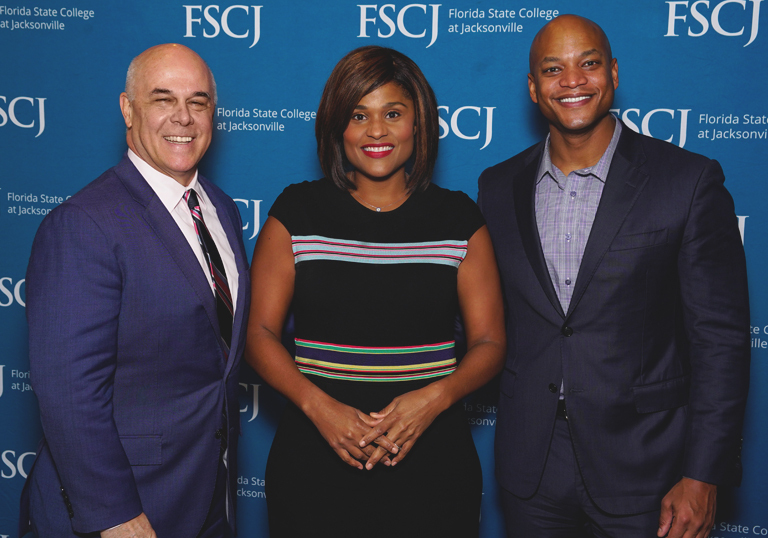 More than 240 FSCJ students have received this vital scholarship support since its inception in 2004. 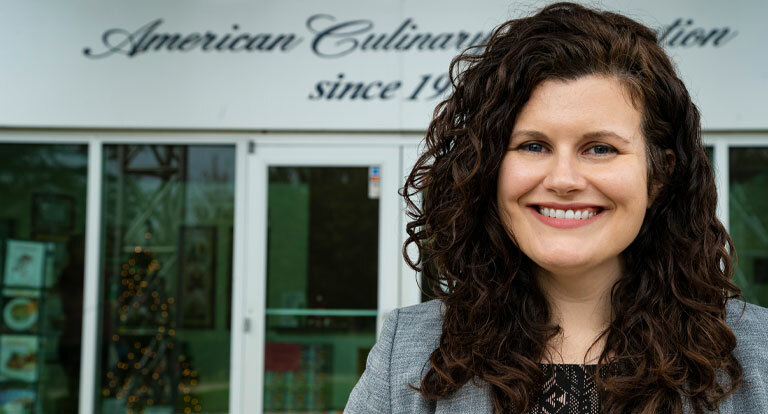 On #GivingTuesday, the FSCJ family came together to give back to our community. .
FSCJ Business Speaker Series will host April Culinary Panel. Supporting service learning and community initiatives will help enrich and support students’ lives. Making a gift toward developing tomorrow’s workforce creates a positive and lasting impact for future generations. Choose a specific scholarship to support or even opt to grow to the general scholarship fund. Supporting BlueWave Athletics ensures our student athletes exceed in and out of the classroom. A gift to Program Enhancement helps identify solutions and transform the way we think. 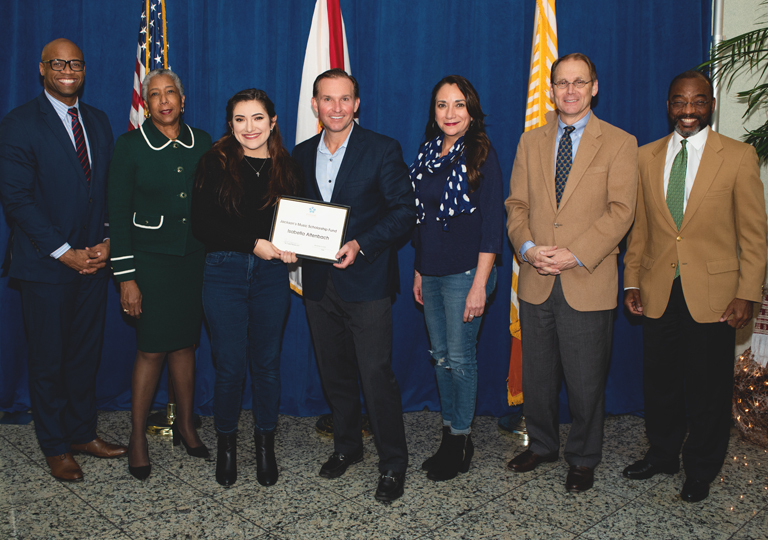 On December 10, the FSCJ Foundation held its donor appreciation and scholarship luncheon event titled The Power of Possible at the Florida Blue Conference Center. 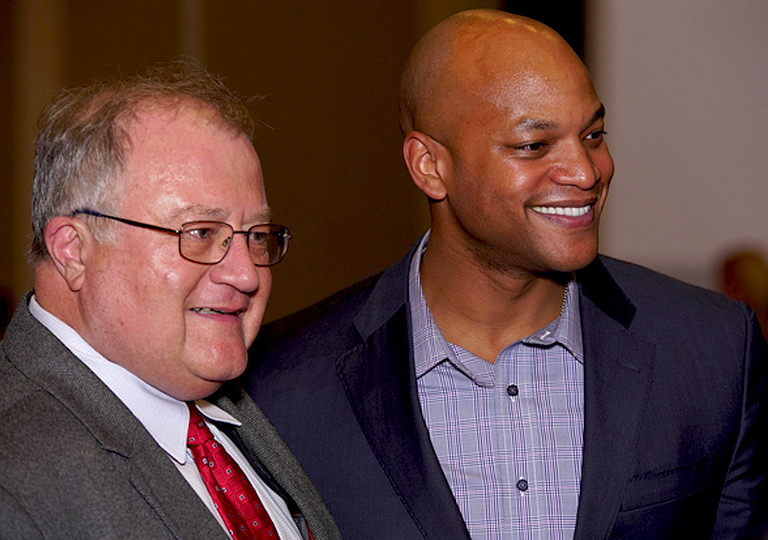 Keynote speaker, Wes Moore, CEO of Robin Hood, army combat Veteran and best-selling author, who spoke on the transformative power of education in his life and in the lives of our students. Proceeds from the event will help establish the Power of Possible scholarship for FSCJ students. "FSCJ afforded me the opportunity to get more core classes as I worked and explored my educational options." 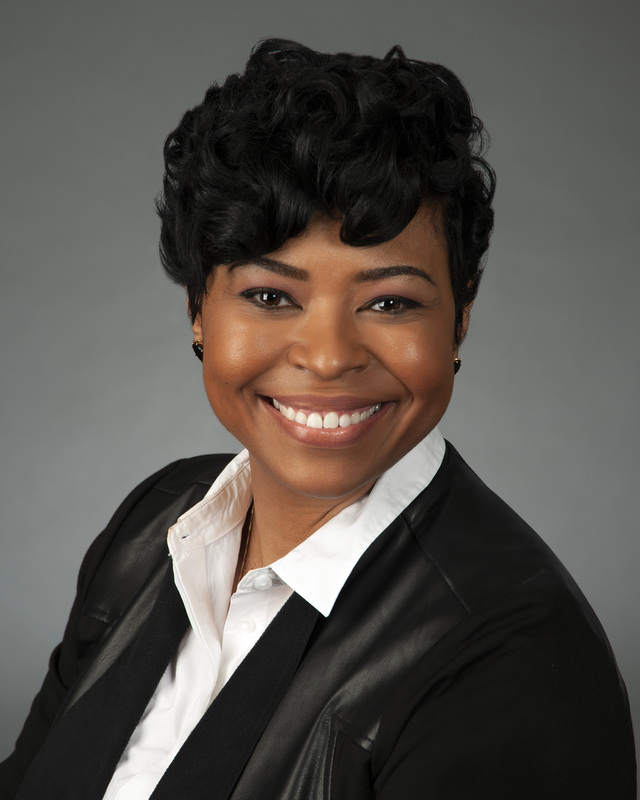 Alumni Spotlight, Jocelyn Tolbert, media coordinator and editor-in-chief of two magazines for the American Culinary Federation. 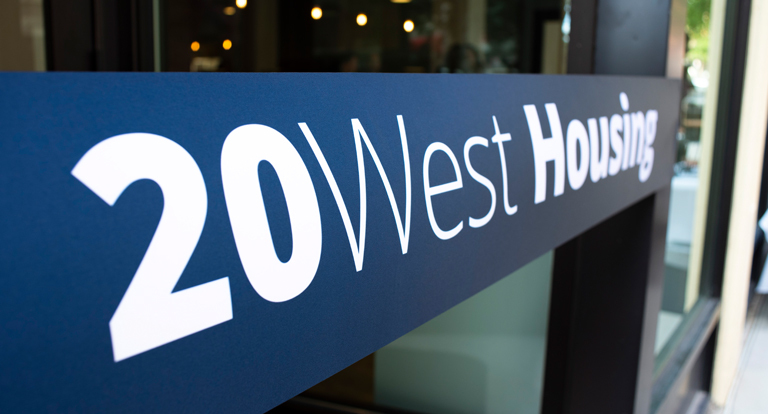 20West Housing and Cafe Win Award. 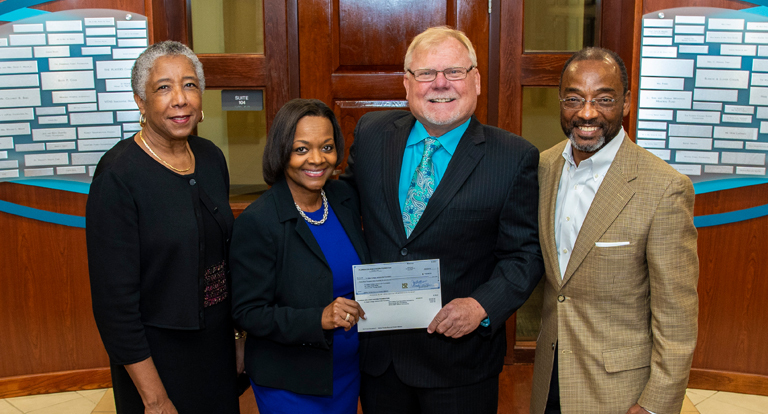 Florida College System Presents Check for Student Scholarship. 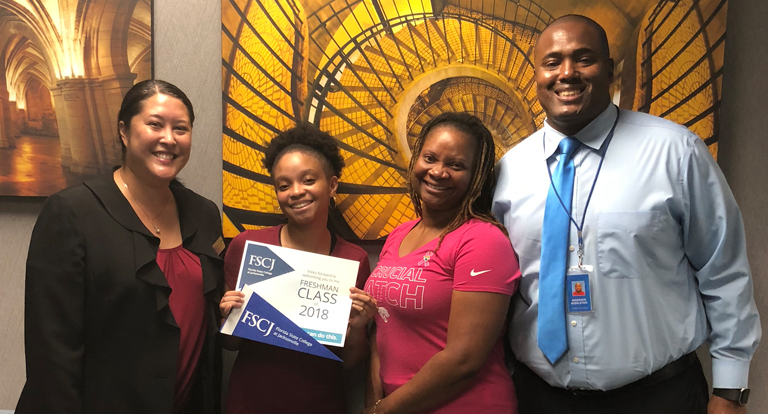 FSCJ Awards First Generation Scholarship in Conjunction with Florida Prepaid College Foundation. Alumni Spotlight: Dental Hygienist Carrie Wind.